Astronaut Donald Petit, Celebrity Shooter (and Musician) Mark Seliger, and Industry Icon Rick Smolan are among those who will share their knowledge and experience with PhotoPlus Expo attendees October 24-26, 2013 at the Javits Convention Center in New York City. For 30 years PhotoPlus Expo has brought the world’s most renowned and successful photographers, educators, and leaders in imaging to the annual show that has come to be known as the “largest photography classroom in America.” Over the years, the expos’ daily keynote presentations have taken center stage and have become the cornerstone of this annual photography event. This year’s lineup of keynote speakers certainly brings new meaning to the phrase, “star power.” The lunchtime keynote presentations will be held each day during PhotoPlus Expo from 12:00 noon to 1:00 pm. Attendees are encouraged to register now as keynote seating is limited and each is expected to sell out. NASA Astronaut Donald Pettit, PH.D., a three-time space explorer, will open the star-studded series of daily keynote presentations with “An Astronaut’s Guide to Photography in Space” on Thursday, October 24. Dr. Pettit was the first astronaut in the history of space exploration to successfully enter a commercially built and operated spacecraft docked in the International Space Station (ISS) in orbit. During his time in space, Pettit amassed an extraordinary portfolio of long-exposure outer space photos he calls “star trails,” shot some 240 miles up in space while logging more than 370 days orbiting Earth and over 13 EVA (spacewalking) hours. With more than 100 Rolling Stone covers to his credit, Mark Seliger certainly doesn’t need an introduction. But most might be surprised to know that Seliger is an accomplished singer, songwriter, and frontman for the popular country band, Rusty Truck. On Friday, October 25, Seliger’s keynote presentation will combine his obvious visual talent with those as a musician when Rusty Truck performs live as music videos produced by the visual side of Seliger’s creative mind quietly perform in the background. Rick Smolan’s ability to produce projects that live for generations is easily supported by his “Day in the Life” book series. National Geographic asked Smolan to document Robyn Davidson’s solo journey across 1,700 miles of Australia’s Gibson Desert. Their story, now a major motion picture titled, TRACKS, tells the story of their amazing journey. Produced by the Oscar-winning team of “The King’s Speech,” the movie stars Mia Wasikowska (star of “Stoker”, “Lawless”, “The Kids are Alright” and “Alice in Wonderland” with Johnny Depp). Smolan will be portrayed by Adam Driver, from the hit TV series “Girls”, another rising star who appeared in Steven Spielberg’s “Lincoln” and in “Frances Ha”. In his PhotoPlus Expo keynote, Smolan will share clips from the upcoming movie and never before seen images from his adventure. Thursday, October 24 –12:00 p.m. – 1:00 p.m. The cupola: A window with a view that provides an orbital perspective and presents a striking view of Earth and its inky surroundings. Because of this unique vantage point, the casual act of pointing a camera and snapping a few shots will produce images that can wow an audience for hours. This presentation will delve into the Earth-known details of focus, exposure, and composition as warped to suit the extraordinary range of brightness and color in space and the cramped zero gravity environment of the cupola. Friday, October 25 — 12:00 p.m. – 1:00 p.m. In this two-part, one-hour presentation, Mark Seliger will discuss the evolution of his editorial assignments in portraiture and fashion, and how he extends these projects into self-assignment. The second part of the presentation will illustrate his personal journey in songwriting and the intersection of music and image making. Prior to the event, we recommend attendees download Seliger’s free companion book from the iTunes Store. Saturday, October 26 — 12:00 p.m. – 1:00 p.m. TRACKS, a new motion picture from the Academy Award-winning producers of “The King’s Speech,” is the astounding story of a 27-year-old Australian woman who set off to cross the desolate outback, accompanied by only four camels and a dog. At the age of 28, National Geographic magazine gave photojournalist Rick Smolan the assignment of a lifetime; to document Robyn Davidson’s solitary 1,700 mile journey across Australia’s Gibson desert. This is a story that went on to become one of the most memorable in National Geographic’s 100-year history, and one of the most talked about motion pictures at the Sundance, Venice and Telluride Film Festivals. Keynote tickets may be purchased for $15 each ($10 each for students) online by Oct. 22 or onsite for $20 each, before they sell out. Designed for professionals in the photographic and imaging industries, PhotoPlus Expo showcases the latest advances in photography, digital imaging and video. 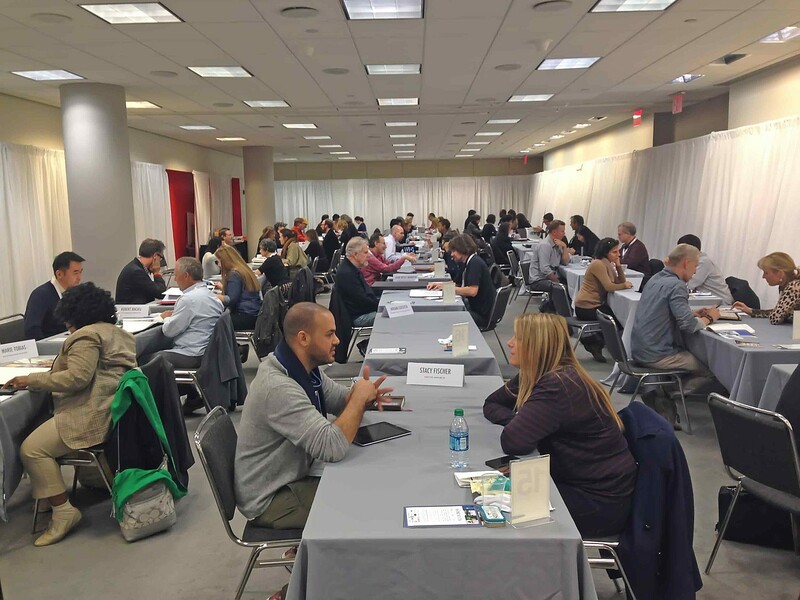 Held annually at the Javits Convention Center, attendees have the opportunity to explore an inspiring array of photography and imaging products and services – everything from image capture and color management to retouching and storage – all from the industry’s leading manufacturers. 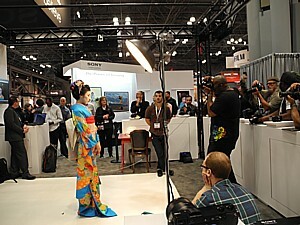 The show also offers photography, video and digital imaging seminars taught by world-renowned experts with a focus on cutting-edge innovations in digital imaging products and techniques. For more information or for frequent updates, visit the PhotoPlus Expo website or become a fan on Facebook or follow us on Twitter.